My love for Master’s Keep Decades cannot be overstated. It’s a fantastic bourbon whiskey, and surprisingly, still underappreciated by many whiskey enthusiasts despite considerable praise. Why is that? I honestly don’t know. Maybe it’s the price. $150 is a lot to spend on a bourbon, though I’ve seen Decades numerous times for well under MSRP (even as low as $80). For a batch of 104-proof, non-chill filtered, 10 to 20-year KSBW, a price tag around $100 is arguably fair in today’s bourbon market. And let’s be honest. Decades comes straight from Wild Turkey – from barrels selected by Master Distiller Eddie Russell himself. There’s no mystery – no hokey gimmick. It’s just damn fine bourbon from the hard-working folks in Tyrone, KY. Some of you might be asking – haven’t you reviewed Master’s Keep Decades already? That’s right, though it was the initial release, batch 1. Many folks never realized (including me for some time) that unlike Master’s Keep 17, there were two batches of Master’s Keep Decades. So now the big question is – are they the same? Well, clearly they can’t be exactly the same. Every batch will have some uniqueness to it and that’s just small batch bourbon. But with talented and experienced master distillers like the Russells, finding consistency is merely part of the job. Oh, you gotta love those Eddie answers! Did I press further? No. I think what needed to be said was said. You get to a certain point and you just need to shut up and enjoy your bourbon. The takeaway is that Decades batch 2 is “mostly” from McBrayer. But knowing Eddie, he’s aiming for a consistent profile over a consistent story. In order to match batch 1’s flavor (assuming 2 is the same, or close to it), he likely pulled barrels from whichever rickhouse necessary to reach his goal. And that’s the Russells for you. It goes to show that the stories printed on whiskey boxes and bottles by marketing folks aren’t always 100% accurate (for any producer). Hell, I don’t think Jimmy or Eddie pay much attention to them, honestly. The Russells don’t write stories, they make whiskey. If you want a quality bourbon story, read a Brian Haara book. 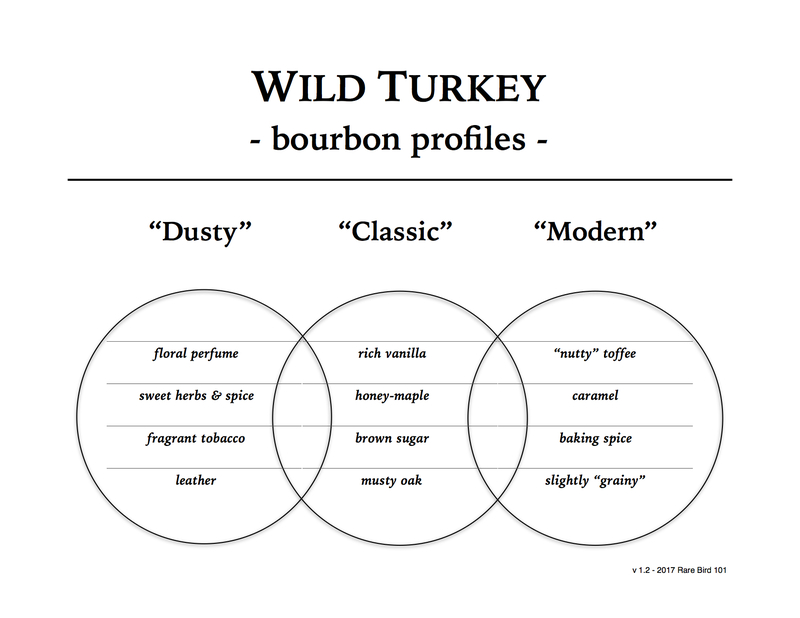 If you want quality bourbon whiskey, sip Wild Turkey. So now it’s time to find out how Decades batch 2 performs. For this tasting I’m going to review batch 2 on its own, then setup a new blind side-by-side tasting with batch 1 and 2. A blind comparison should remove bias and leniency. By the end of this review it’s my hope that the big question will be answered. Are Master’s Keep Decades batches equal? We shall see! Overall: Just as excellent as I expected. In fact, I think I may be enjoying this pour a little more than the first batch of Master’s Keep Decades. While the citrus notes I find a primary feature of batch 1 are present, they’re not quite as forward or dominant in batch 2. Instead I’m getting more creamy toffee and caramel, with citrus, leather and herbal spice following closely behind. Overall, there’s a nice balance between sweet and spicy – complexity with the best elements of maturity. Just like the initial batch of Decades, batch 2 remains the perfect combination of both Jimmy and Eddie Russell’s preferred bourbon profiles. This wasn’t by chance, but rather by Eddie’s design, integrating the robust flavor of Russell’s Reserve Single Barrel with Jimmy’s signature long & spicy finish. It’s a bourbon for the ages – literally. It’s unmistakably Decades and this batch lives up to that name in every way. Alright, so this is where things get real interesting. It’s time for a blind comparison of Master’s Keep Decades batch 1 and 2 (labeled Sample A and Sample B) – each tasted neat in Glencairns after a little resting time. Initially, there’s a color difference between Sample A and Sample B. It’s nothing significant, but Sample B is faintly darker. Sample A seems to have a rounder/fuller nose – not necessarily more complex, but not as vibrant or “bright” as Sample B. On the palate, there’s a comparable mouthfeel – creamy and flavorful. Both share similar notes, though they present themselves in unique weights and orders. If choosing a preference on taste alone, I’m leaning Sample A. As for the finish, both are fairly long, sweet, and spicy; however, Sample B seems to be a touch longer with slightly greater complexity. Wow, this is tough! I’m guessing Sample A is Decades batch 1 and Sample B is batch 2 … and I’m correct (by pure luck). The kicker is, I’m not sure which I like better. Batch 1 seems to be the winner in terms of nose and taste, while batch 2 has a more notable finish. All said and done, both are extremely close in profile and I doubt most enthusiasts (myself included) would be able to tell such differences in tastings outside of side-by-side comparisons. In closing, one must remember that it’s virtually impossible for two batches of any bourbon whiskey to taste exactly the same. Each and every barrel is unique and adds its own indelible touch to every relative batch. What Eddie Russell has accomplished with Master’s Keep Decades is remarkable. Not only did he create a limited edition that tastes incredible, he did it twice with commendable consistency. I’m again reminded of how appropriate the name Decades is. It’s a testament to the 37 years Eddie’s spent working alongside his father, Jimmy. It’s a testament to Eddie’s own experience and contributions to the industry. And most importantly, be it intentional or not, Decades is a testament to his father’s legacy. It’s the real Wild Turkey tribute – an undeniably special bourbon in almost every way. Special thanks to Rare Bird 101 Patrons, Mike C. and James R. for their assistance. Great article! I didn’t know there were two batches. And WOW~ $80 for a bottle! Lucky! Thanks Jon. The lowest I’ve purchased one for is $90, though I’ve heard of a few places with Decades on sale as low as $80. Crazy good deal. Does the packaging obviously state which batch it is, or is there a laser code to look for? It’s on the bottle neck label. Thanks for commenting! Picked up a bottle of batch 2 tonight. Love the mouth feel and the finish. Unfortunately, this bottle was right at MSRP. If I found this at $80-$90, I’d buy two on the spot! Still a respectable pour even at SRP. Glad you’re liking it as much as I am!